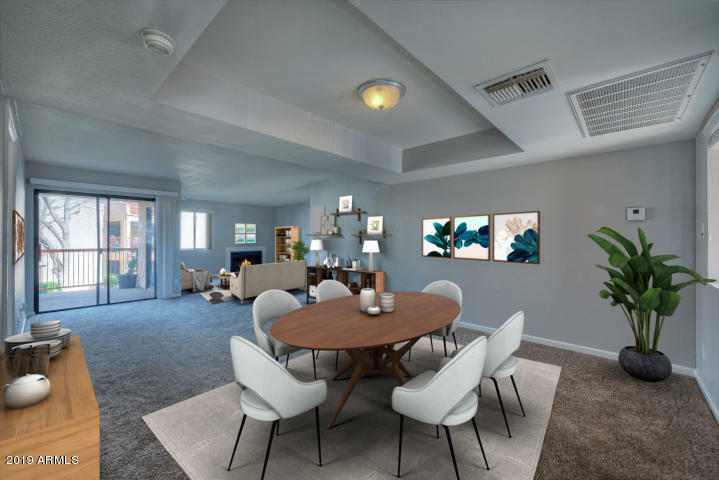 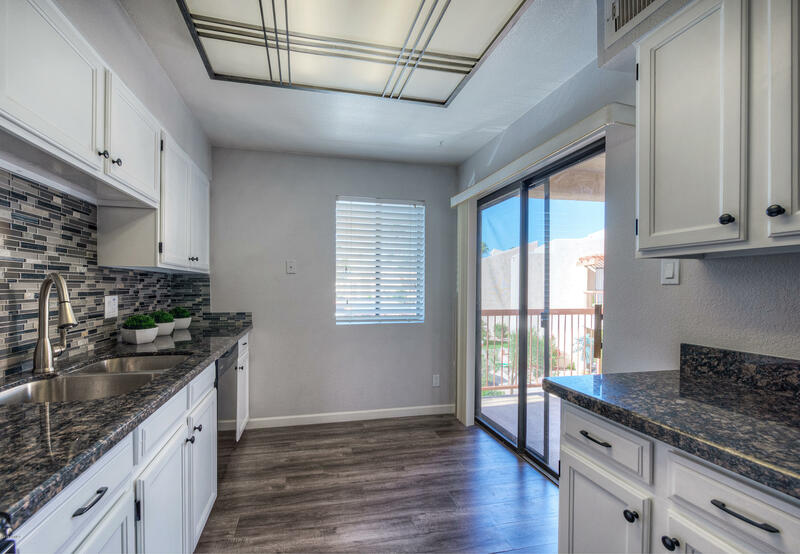 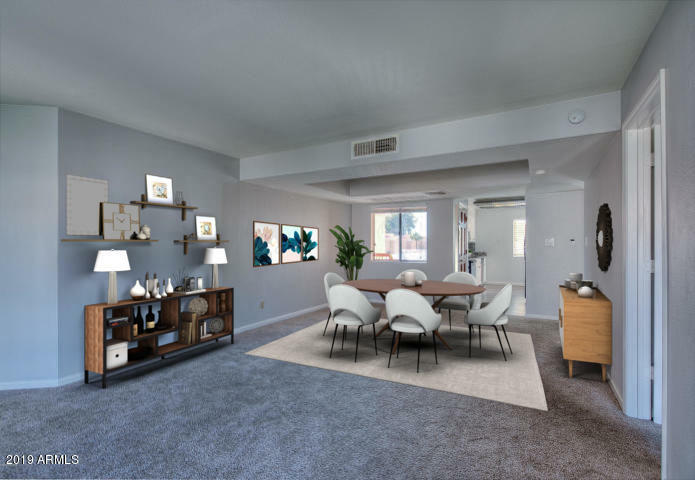 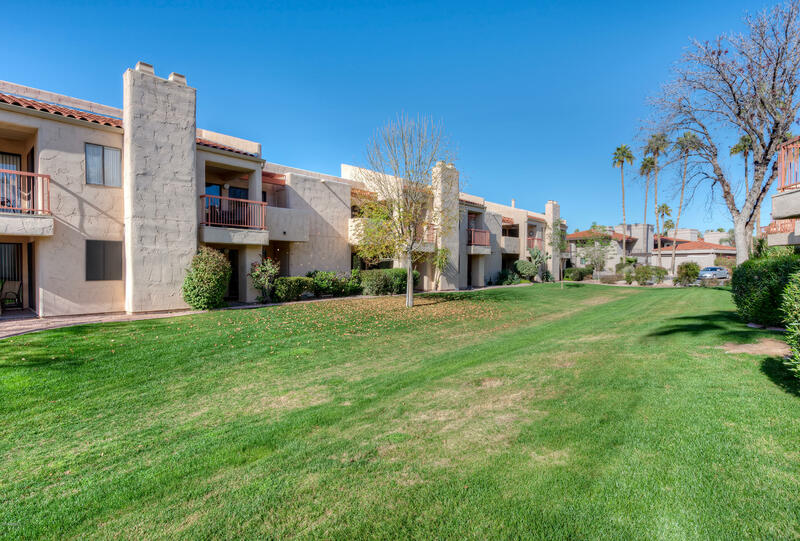 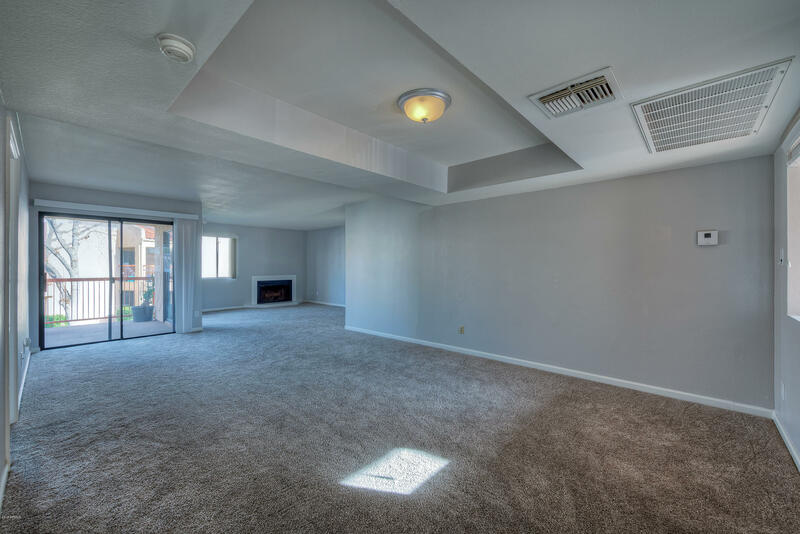 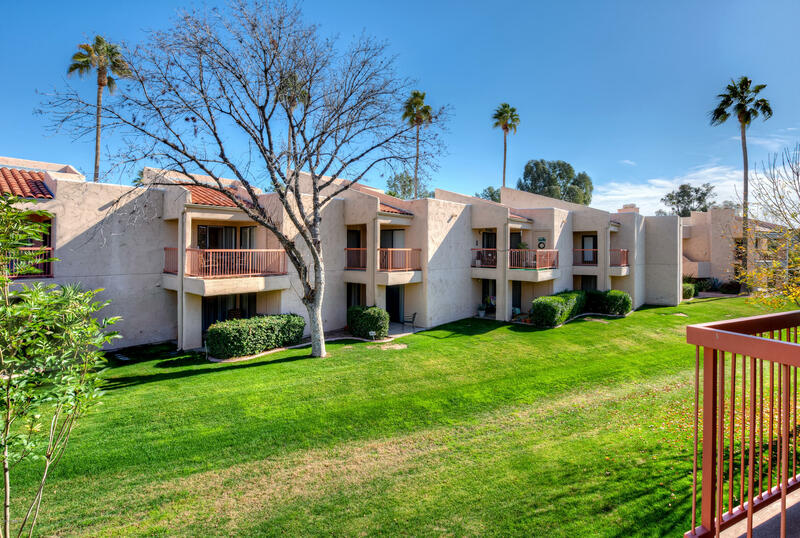 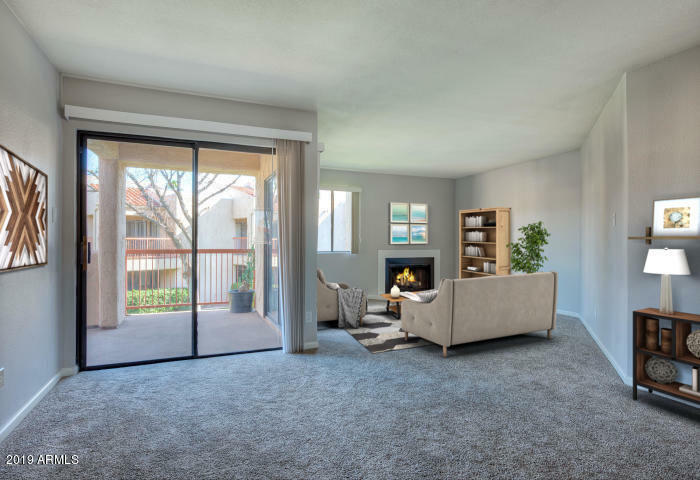 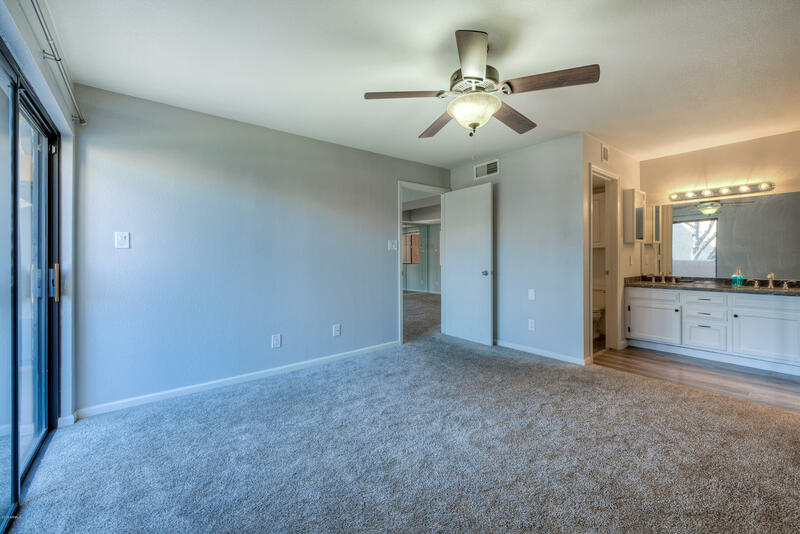 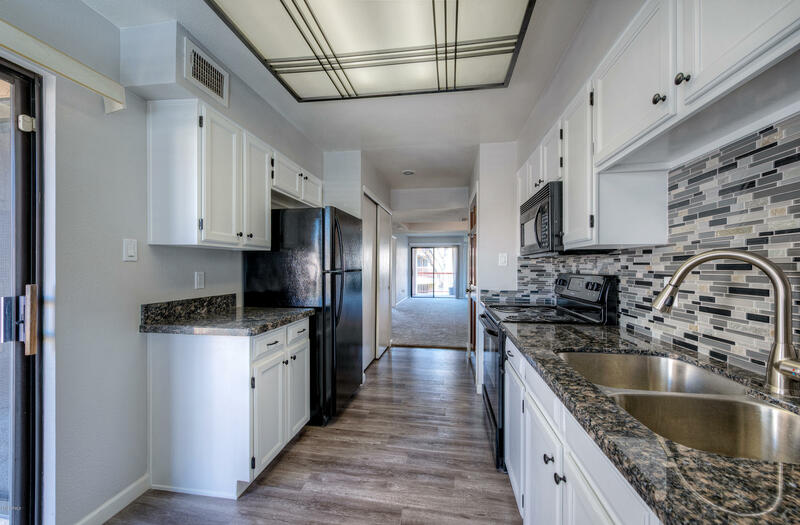 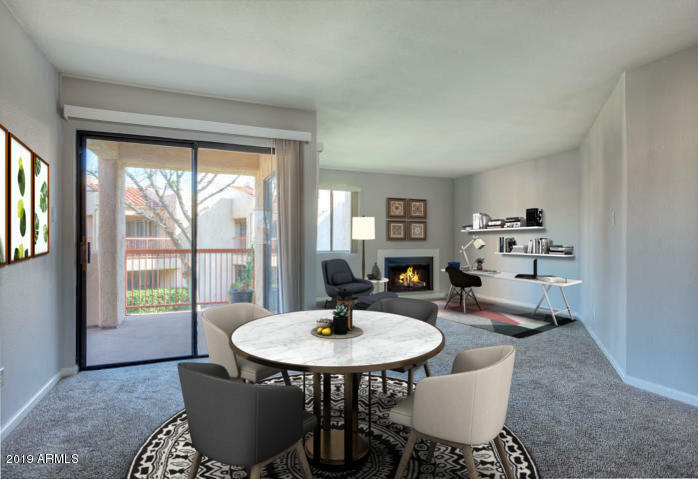 Charming, remodeled condominium, in the desirable Village One community, located in popular McCormick Ranch, Scottsdale. 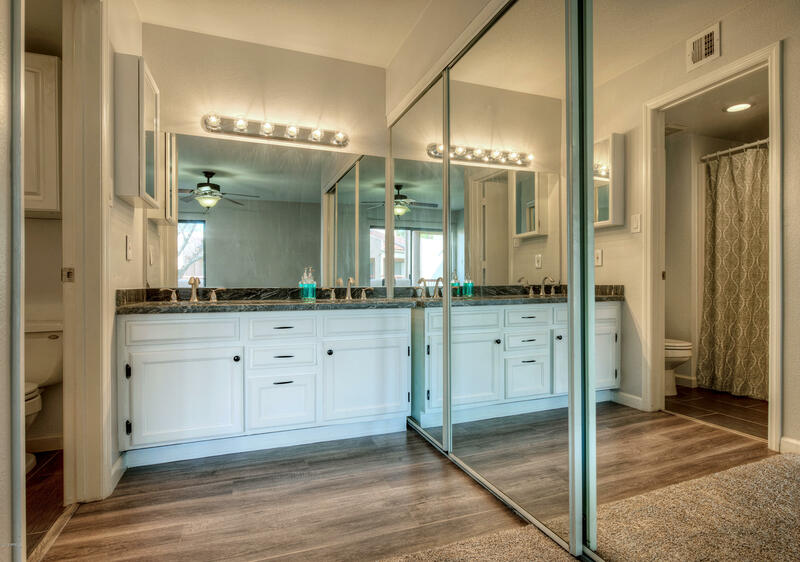 Perfect lock & leave second home! 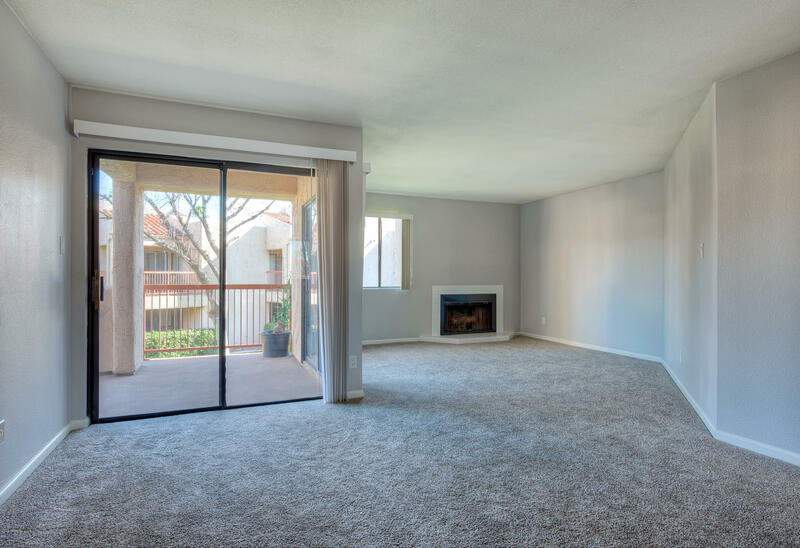 Comfy, spacious floor plan with an over-sized walk out balcony that backs to a greenbelt. 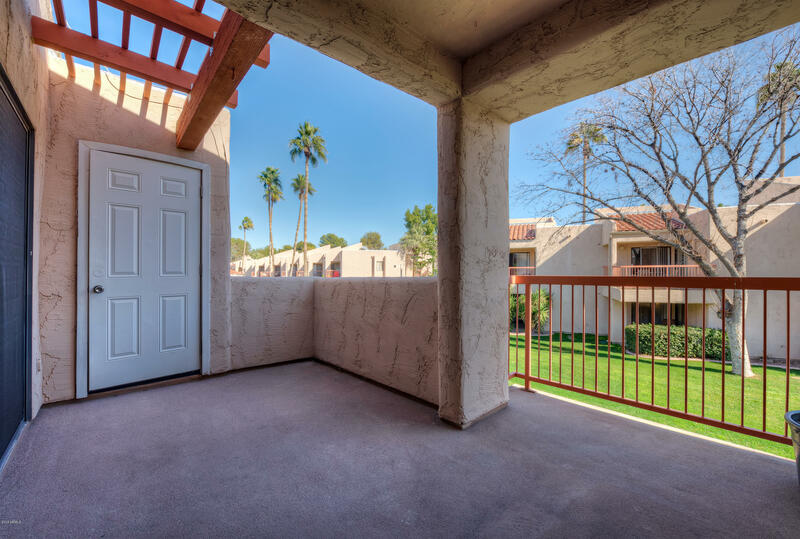 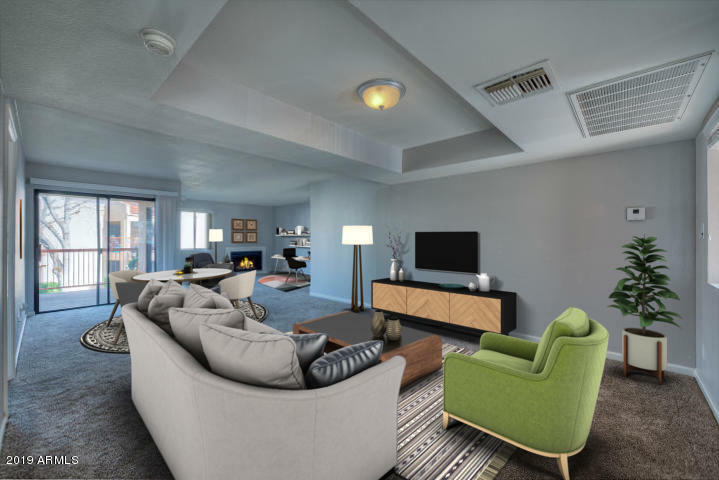 This lovely 2 bedroom, 2 bath unit has been beautifully updated. 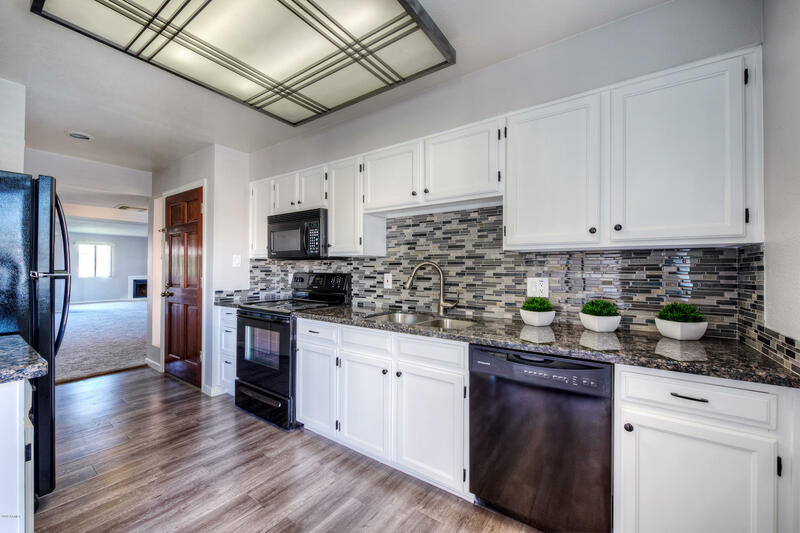 The kitchen boasts granite slab counters, plank wood floors, contemporary mosaic backsplash & white cabinets. 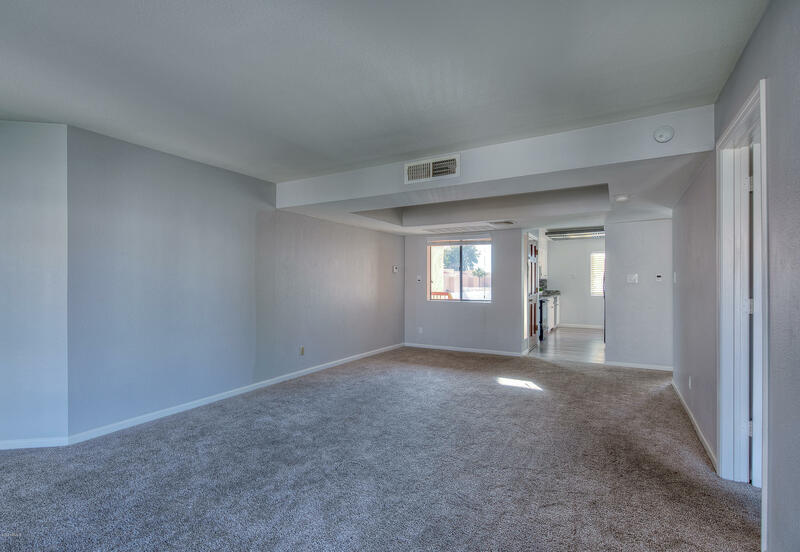 New, upgraded carpet throughout. 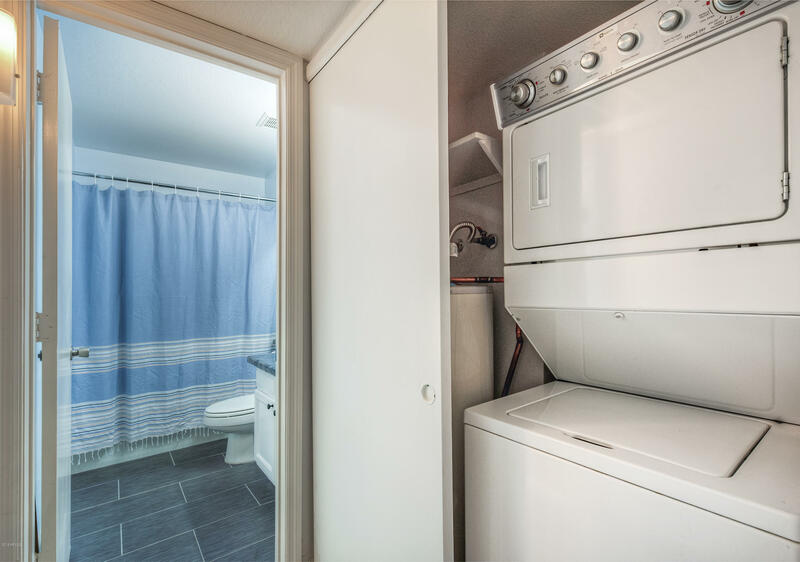 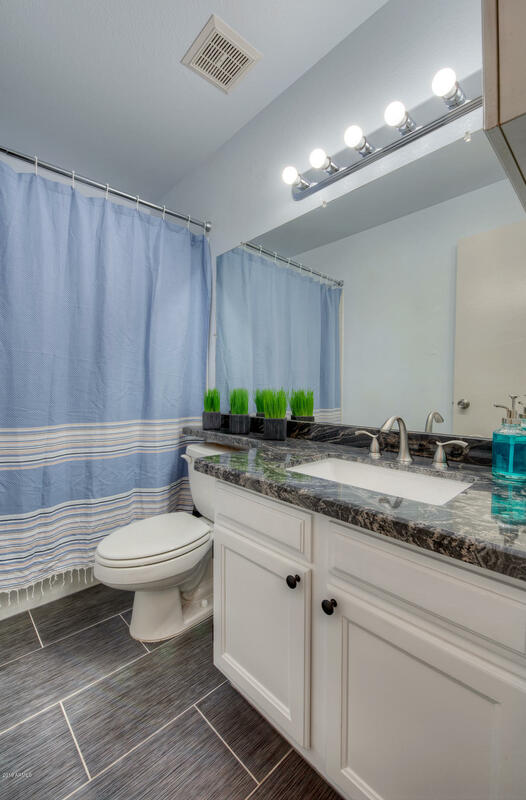 In the bathrooms, you will find granite slab counters, white cabinets & contemporary ceramic floors. 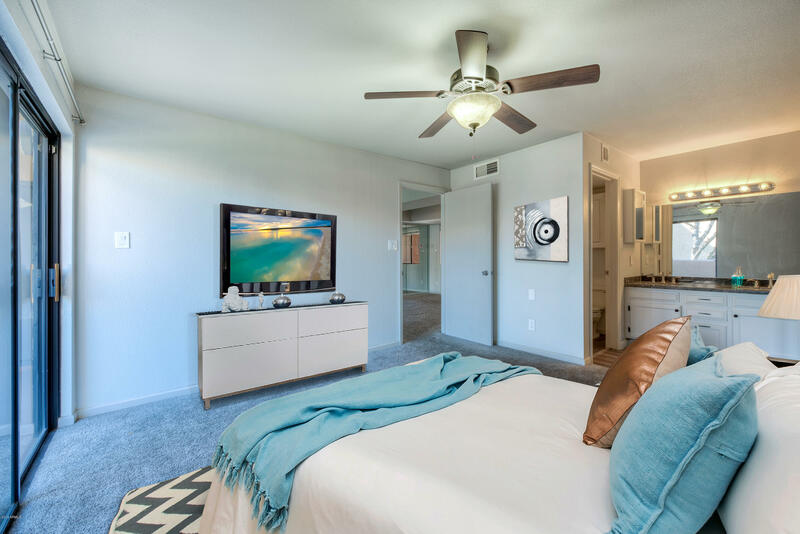 The Village One community features a heated pool, spa, tennis courts, biking & walking paths. 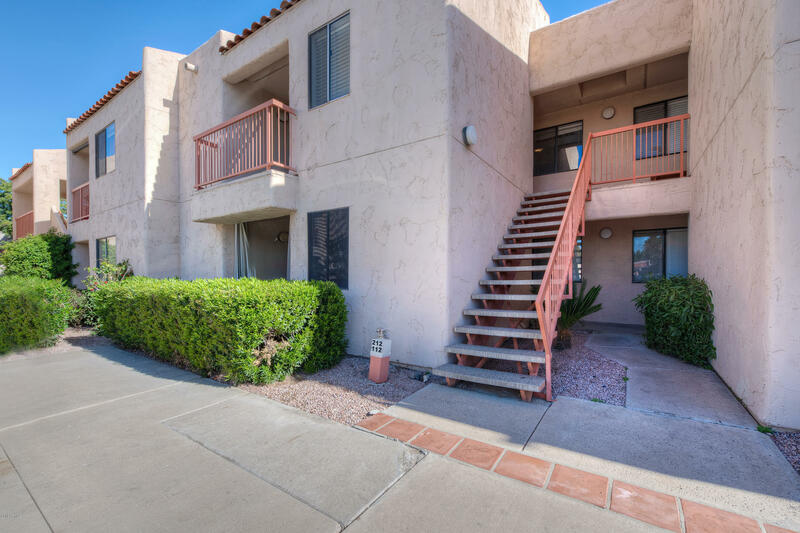 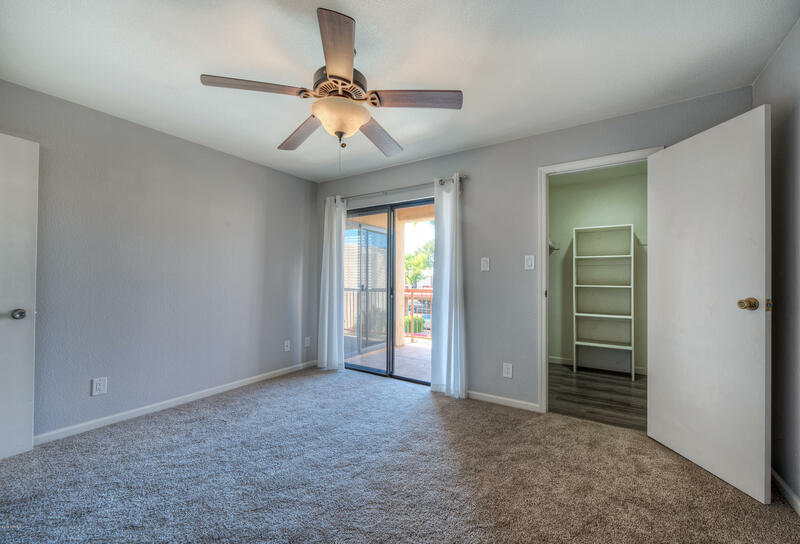 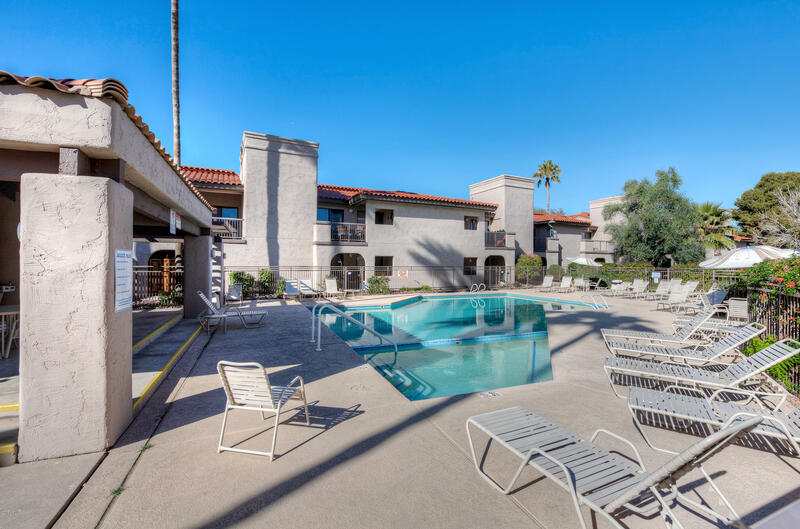 Location is ideal, with close proximity to fabulous Local Shops, Fine Dining, the Diamondbacks Spring Training Stadium at Salt River Fields & much more!